Approved by the Chartered Trading Standards Institute (CTSI), our codes of practice covering car sales, servicing and repairs, new car warranties and extended warranties offer clear-cut customer service expectations for car owners and a revenue opportunity for accredited businesses. Although you’re committed to offering the best service, things can go wrong at times. Our legally trained adjudicators are on hand to take calls from car owners but also to help guide you through the dispute resolution process and offer an impartial perspective on the complaint. Our adjudication service is part of your accreditation and free for consumers, offering fair and reasonable decisions. You’ll be able to download a free CTSI marketing pack and you’ll be able to display The Motor Ombudsman and CTSI-approved code logo on your premises, website, paperwork, and marketing communications – giving consumers confidence that you’re committed to a higher standard of service. Through our unique online review system you’ll be able to use customer feedback to promote your business and stand out from the crowd. Encourage your customers to take part in our online survey and they could £500 in Lifestyle vouchers, effectively winning back the cost of their car service or repair. For MOT testing stations, the DVSA now records whether a vehicle testing station (VTS) is a member of a Chartered Trading Standards Institute-approved Code of Practice during the MOT test centre inspection, which may help the DVSA to consider your vehicle testing station as low risk, resulting in reduced regulatory checks. You’ll get a free online profile page on The Motor Ombudsman website which you can customise yourself, as well as adding your latest offers. There are tens of thousands of profile page views per week on our website; that’s tens of thousands of potential customers looking for a local garage to do business with. In conjunction with CTSI, The Motor Ombudsman has developed online interactive training modules to ensure accredited businesses fully understand their obligations under the Alternative Dispute Resolution (ADR) regulations and the Consumer Rights Act legislation. We’re working closely with the AA Garage Guide to ensure consumers can find and book a service at garages adhering to the highest standards. As a business accredited to The Motor Ombudsman you’ll be eligible to have a profile on the AA Garage Guide giving you access to thousands of new customers and an online booking system. Sign up today and be a part of something great! Accreditation is available for just £220 (excl. 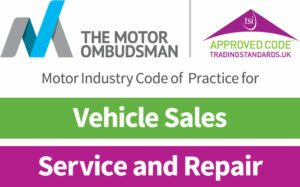 VAT) for one code of practice, or for full accreditation (Service and Repair and Vehicle Sales) it’s just £320. You can find out more information about the costs of joining here.